There are just 11 days left in the year, and like most people right now, I’ve got my eyes set on the holidays and some R&R, hoping to indulge in some good times with family and friends, and, in the process, recharge my batteries as we head into 2013. For me, this is the time of year I like to schedule a few free hours, maybe spread out over a few days, to do some post-op on my trading. Honestly, because this is my passion and my job, I’ve already done a bunch of informal analysis during the year; in fact, usually anytime I’m heavily in cash and the market isn’t doing much, I spend some time reviewing trades from the prior few weeks or months. But year-end is a time for reflection, both in life and in the market. And I’ve personally found that I get a disproportionate number of good ideas from my year-end analysis … probably because I am usually in a more relaxed mood and have more time to ponder how to improve. Anyway, the bulk of my year-end analysis will occur during the next few days, but I’ve already started the process and, as I said above, I’ve collected plenty of data throughout the year. So since this is my last Wealth Advisory of 2012, I’ll go over a few of the things I’ve learned (or re-learned) this year. 1. In trendless markets, don’t get caught in the middle. Getting “caught in the middle” means you don’t take partial profits (say, after a 10% to 20% gain) on the way up … but you’re also not willing to sit through a 20% or 25% base-building period over many weeks. Thus, you end up selling after a meaningful decline, leaving yourself no real profit, and often bailing out right before a stock renews its longer-term advance. Think of it this way—we’ve seen stocks do well, but generally in a three-steps-forward, two-steps-back manner. Thus, you want to either sit through all five steps to develop bigger gains, or at least take some off the table after the first couple of steps on the way up. Until we enter a trendier environment (and I am optimistic that could happen in 2013), then, it’s probably best to incorporate some partial selling strategies on the way up—say, booking one-third or one-half after you’re up 10% or 15%—or, conversely, practicing patience with winners during a market correction, allowing a few to rebuild bases. I think I’ve done a decent job of that this year, actually, holding on to some winners like Lennar (LEN) and Equinix (EQIX) through tedious stretches, and even a growth name like LinkedIn (LNKD), which I continue to have very high hopes for. But I know I’ve also been caught in the middle on a few other names, riding them up and then back down, selling around breakeven, and then watching in agony as the stocks get going again. “But Mike,” you ask, “how will I know if the environment has changed?” Easy—your results! If you’re finding that, over a month or two, most stocks you’ve sold (or taken partial profits in) continue to kite higher, you’ll know trends are sticking, in which case you should be more inclined to let winners run. 2. Rely on your system for less stress, better decisions. When investing in a world full of uncertainties, it can be both stressful and counterproductive to always be adjusting and anticipating all possible outcomes. What happens if there’s a Fiscal Cliff deal? Or a partial deal? What about Europe? Will Europe have more debt problems next year? What’s up with China? And who’s going to win the Super Bowl?! Many investors, even those who are experienced, usually spend WAY too much time worrying about every possible outcome, and designing action plans to deal with whatever outcome occurs. Such an effort is laudable; having a plan, after all, is a good thing. But obsessing over every scenario is stressful and often counterproductive. We used to have a saying in the office: “When you’re confused, turn it over to the rules.” After all, if you have a system, it’s there for a reason—to rely on it! And by doing so, not only are your decisions usually better, they’re easier to make. The bottom line is that year-end is a great time to develop or further tweak your system. Of course, if you subscribe to any of my publications, you’re welcome to piggyback on our own methods! 3. Don’t get pigeon-holed when picking stocks. What I mean by “pigeon-holed” is that too many investors stick with the familiar when it comes to picking stocks—if you’ve had good luck with technology stocks, you tend to focus there. If you’ve had success with companies growing revenues at triple-digit rates, you focus on those. And so on. But what I originally learned in 2009 is that you have to adjust to what the market is offering. Back then, I was used to buying stocks with big earnings growth that were hitting new 52-week highs. But guess what—after a 50% market decline, few stocks were near 52-week highs, and because of the Great Recession, few had big earnings growth. There were some, but I could have done much better by looking at so-called “bottoming bases” and getting onboard. Thankfully, I used that lesson somewhat this year, at least in the sense of not being pigeon-holed. Housing stocks looked very interesting a year ago at this time, even though their sales and earnings figures were lackluster and they weren’t true growth stocks. Nevertheless, I added Lennar to the Cabot Market Letter Model Portfolio in mid-January. It’s been a great winner for us and I’m optimistic that it has a lot further to run. The point is that you should definitely stick to core principles—to me, that means a strong stock with outstanding volume that also has a “ruling reason” to go up meaningfully in the months ahead—but realize that every year is a bit different in terms of what institutional investors will favor. As I said above, I’ll be doing more post-op work during the next couple of weeks, but these three points are things I’ve already learned. 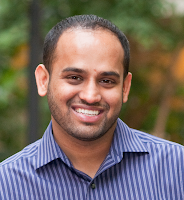 If you do your own analysis, I’d love to hear some new rules or tools you’ve learned. I hope to share some of them in a future Wealth Advisory. Ready for the $600 Billion Tax Bomb Set to Explode January 1? The Fiscal Cliff is fast approaching and by no means are we taking a wait-and-see approach. With more than 40 years under our belts in the markets, and one of the best track records to boot, we are placing our bets in the three places that will come out of this mess with bigger profits even under the worst-case scenarios. If our optimum technical momentum indicators are on target again, we could see profits not only similar to the 67% jump we grabbed in OmniVision and Netezza but also similar to the 77% breakouts we saw in Riverbed Technology and Las Vegas Sands when January 1st rolls around. All of this could lead to a more sustained bull move than most investors expect. Heck, in my view, most investors don’t expect any bull move at all. As usual, I won’t predict what comes, but the evidence in front of me gives me reason to be optimistic. My stock idea for today is something I haven’t officially recommended for at least a couple of years, but it’s been on my watch list for a while. It’s Oasis Petroleum (OAS), a small ($590 million in annual revenue) oil explorer that’s raking in the dough in the Williston Basin, one of the more lucrative areas in the Bakken (located in North Dakota and Montana). And the company is growing like mad! In the third quarter, total production was up 109% from a year ago, with a 78% gain expected for the fourth quarter. Meanwhile, cash flow soared 121% to $139 million, and there’s likely much more where that came from—management believes it has about a decade of inventory wells to be drilled, so it’s going ahead with an aggressive program. But what impresses me is that this isn’t just about production. Management saw that well costs were skyrocketing, and so it set up its own well services division, and that has made a huge impact—the average cost to drill and maintain a well has dropped 16% since the start of 2012, and the top brass believes another 5% to 10% reduction is possible next year. Combine those lower costs with more wells and stable-to-rising oil prices, and you have a recipe for a big winner. What about the stock itself? OAS came public in mid-2010 and had a great run, advancing from 14 to 36 by February 2011. But that was the top! And since then the stock has been bobbing around in a gradually tightening range; it fell to 18 in the summer of 2011, to 22 during this past summer, and recently, to 28, as the market suffered through a two-month correction. However, this latest pullback has been tight and quiet; OAS has been sitting in a 15% range for 14 weeks! To me, it looks coiled, and all I’m waiting for is a big-volume thrust above 33 to start a position. Keep an eye on it! 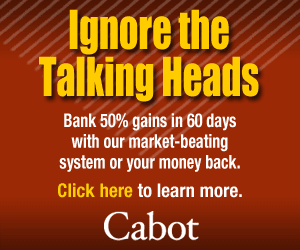 --- For the latest stock tips from the Cabot family of newsletters, click here.